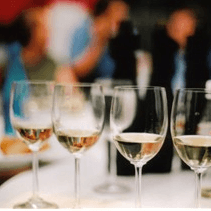 We will let you taste a range of 10 Quality wines, 5 red and 5 white wines for 8 tasters If you are a wine lover our consultant will visit you and you will be able to try unique wines which are imported by our company.. This offer is only available in the North West of England. We will show you a range of fine French, Spanish Rioja and German wines. Also Port and Cognac from Ch Montifaud. We prefer to limit the number of people tasting to under 8.